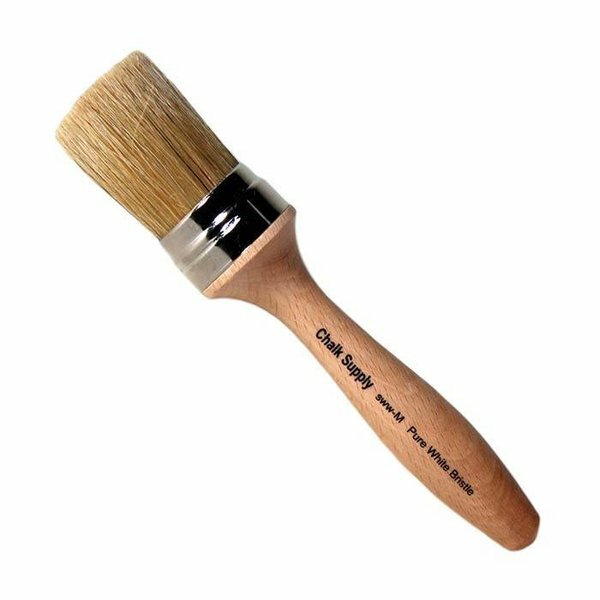 / Chalk Supply Medium Wax Brush, 1-1/2"
Chalk Supply Medium Wax Brush, 1-1/2"
This "old school" wax brush is one of our favorites! The flat round head dispenses uniform, thin coats of wax and is perfect for working wax into the porous surface of Chalk Paint and other permeable mediums. The bristle is 2" length and 1.5" diameter. The brush has a total length of 8" with a wood handle that is 5 1/2" long.